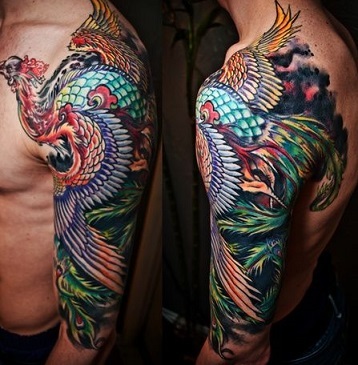 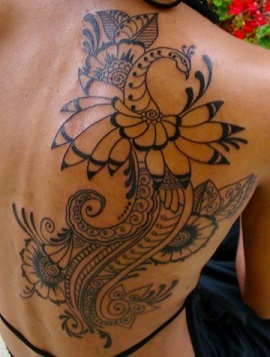 A popular type of bird tattoo among women is the peacock but surprisingly men adopt the look of the peacock as well. 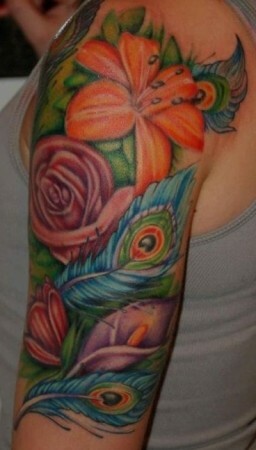 Peacock tattoos can be tattooed very big forming sleeves or covering large body areas like the back. 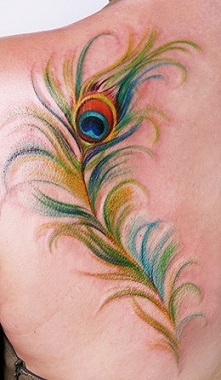 Peacock feather tattoos are not as noticeably large as peacock pieces as the tattoo only depicts the feather of the bird. 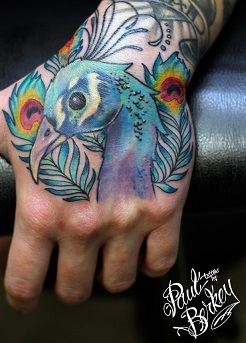 Peacocks have many different meanings and representations from beauty, mystery, vision, royalty, protection, spiritual well being, enlightenment and intelligence. 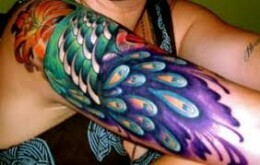 Peacocks in Hinduism represent luck, patience and kindness. 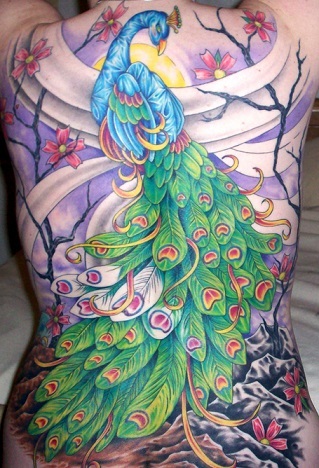 In Christianity peacock tattoos represent immortality, resurrection and renewal as the bird looses it feathers every year. 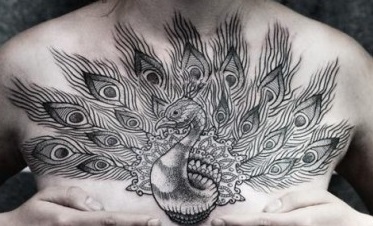 Persians view peacocks as guardians and are found on thrones as protection. 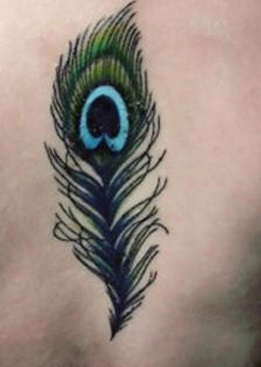 Romans once believed the peacock tail has the eyes of the stars. 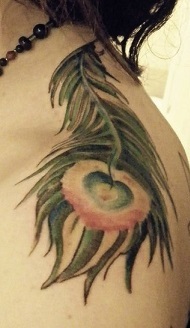 Some believe the peacock is a reminder to show our true colors. 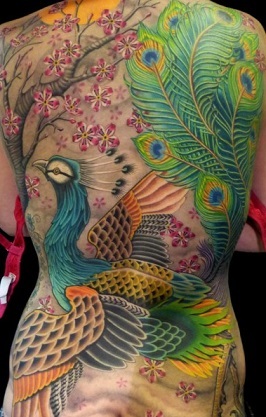 Peacocks are known for their beautiful tails and large size. 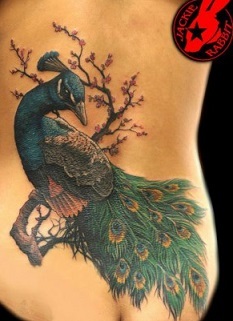 The word peacock actually means male peafowl but is commonly used to describe both sexes where females are called peahens. 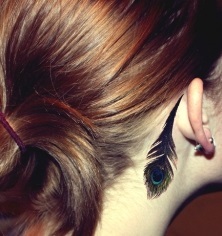 Their large tails are used for mating enticement and it is believed that female peafowls choose their partner by the male peacocks tail color, size and quality. 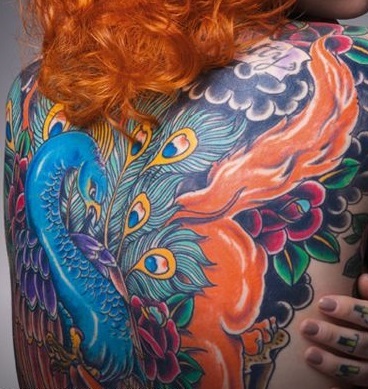 Peacock tattoo pieces can look very majestic just like the peacock itself using realistic portraits, deep rich colors and shading. 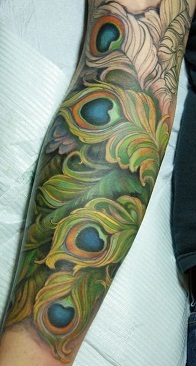 Arm sleeves and the back area make up the majority of peacock tattoo pieces but are also found on the legs, chest, and neck. 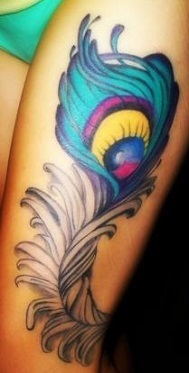 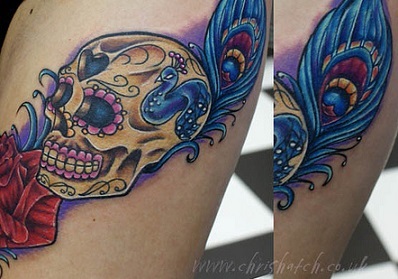 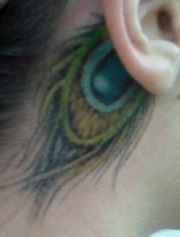 A girls peacock tattoo consists commonly of bright and vivid colors and the same can be seen for men’s as well. 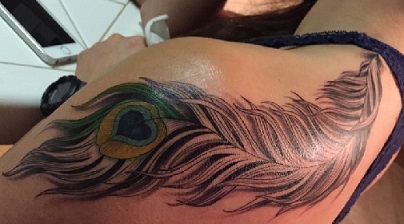 A very beautiful tattoo for women is the peacock or peacock feather tattoo. 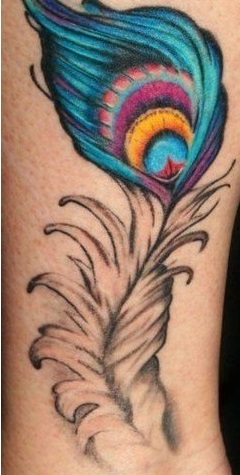 Any style, black or white, large or small, feather or peacock will look good on pretty much anywhere. 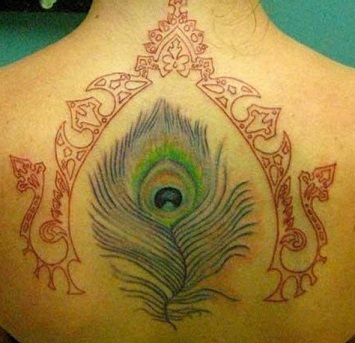 The peacock represents many things to different people finding your meaning will help define the style from peacock in tribal to peacock in traditional style. 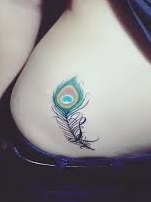 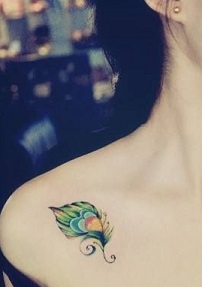 Feathers are quite beautiful and exquisite to look at, so why would you not get a tattoo of one? 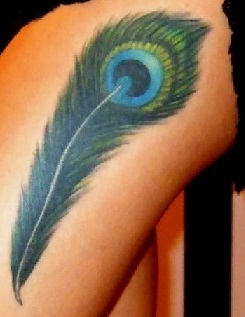 The peacock feather tattoo is the most popular form of the peacock to be tattooed on women. 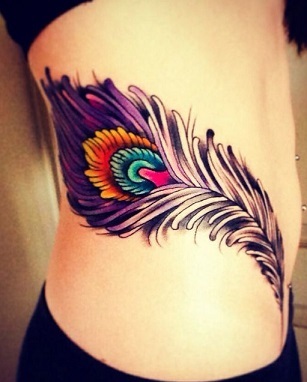 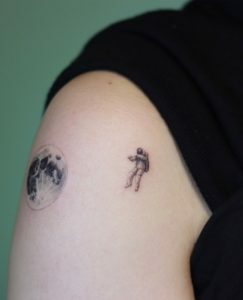 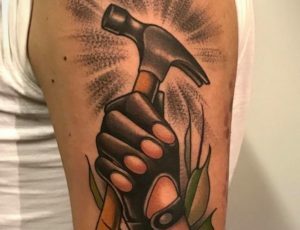 There are many popular places for feather tattoos including behind the ear, the back, spine, thighs and hips, lower back, chest, the foot and fingers. 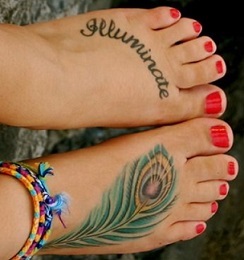 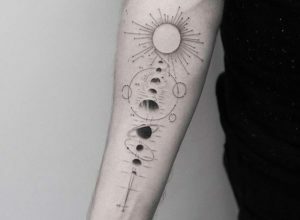 These tattoos work best where the feather can follow contours of your body as the feather can be curved to compensate your shape. 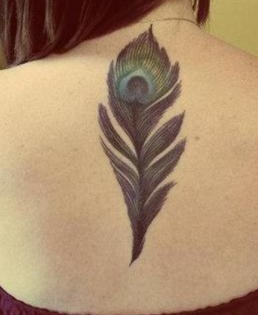 There are also many different styles to represent or display a peacock feather including realism, traditional or old school, black and white, color, and size. 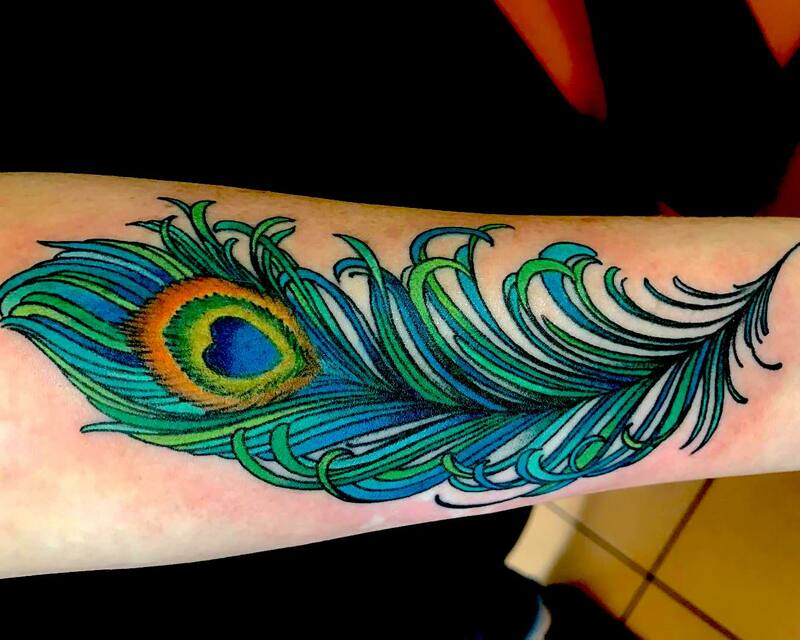 Peacock is a scientific term for male peafowl, so why can’t men get beautiful peacock tattoos. 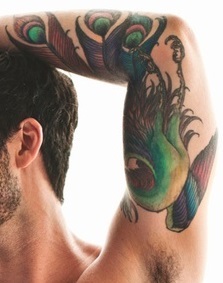 Men get peacock pieces as well as single peacock feather tattoos. 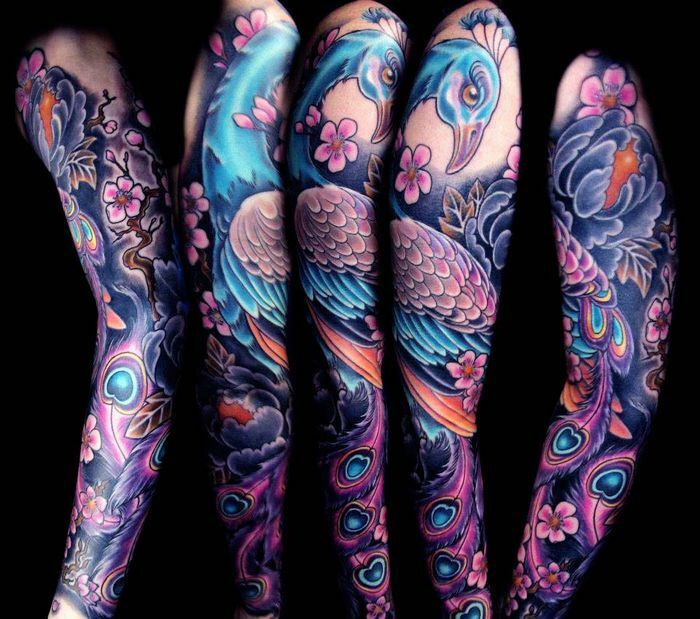 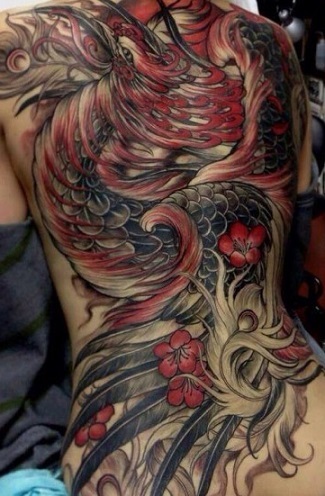 Traditional or Japanese style can give a masculine look to a peacock sleeve or piece. 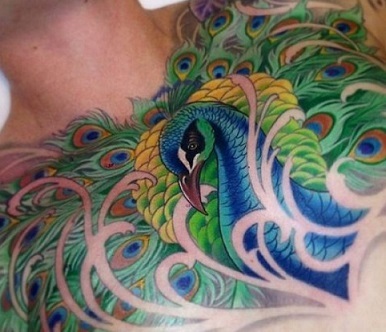 Almost all of the peacocks and feathers found on men are done in color.